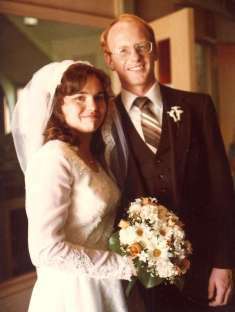 Kathy and I got married on September 1st, 1979. Well, legally we got married on August 31st by a justice of the peace in Chicago, but we wanted Fred Tomlinson to do the wedding service and he was not legally ordained to perform weddings. So on the 31st of August Kathy and I took the train to Chicago and were married by a justice of the peace, an austere middle-aged lady. She must have thought there was no hope for our marriage when I began laughing during the vows because of her strange style in speaking to us! I tried not to laugh, but alas! Kathy couldn’t believe I could laugh in such a situation, but we laugh about it to this day. Kathy and I didn’t consider that day as our marriage before the Lord, so we spent our last evening apart. The next day was a windy but pretty day, and all went well except for the quality of the photographs. Oh well, things could have been worse. All our friends and relatives were there. We were married by Fred at the Arlington Countryside Chapel and had our reception at the Old Orchard Country Club. That evening we started our trip to Colorado by car for our honeymoon. It was a fun time, though we also quickly discovered some big differences and misunderstandings between us that we had to work out! After a nice two weeks we arrived back in Palatine, a city just northwest of Arlington Heights, and settled into an apartment there. I was so happy to be married to Kathy. The Lord was so good to me, having given me one of the longings of my heart and soul. Through thick and thin God has blessed our marriage. The longing continued in our hearts to see the Lord move in a great way among us. Sometimes I became very discouraged because it seemed that so little was happening. We began to question whether or not God even wanted us to continue as a church. Kathy and I decided to go up to Kitchener, Ontario, Canada for three months to spend some time with Fred Tomlinson, his family and the church that was starting up there. Kathy and I were sold out to the Lord, and it seemed the right thing to do. We were very serious about knowing for sure how we should proceed with our church. It was a wonderful time in many ways. We stayed with Rose McCleary in her apartment the whole time. She was a fun one to be with. Kathy and I had time to drive around the area together, visit people and be involved with the church. By the end of our stay the Lord had indicated to our hearts that it was right to continue on with the church in Palatine. Kathy and I returned there in March with a clear renewed sense of our purpose in God’s will. Soon afterward Kathy and I rented a nice little house on Rose Street in Palatine near the railroad station. It was a white two bedroom 1930 era house that suited our needs perfectly. We felt it would work for a meeting place for the church, and it did for a season. We have fond memories of that place and those days together. Around that time Ted and Charity and their boys decided to move back to Canada. We were sad to see them leave. About the same time James and Brenda Laney and their family moved down to be with us, and bought a house in Rolling Meadows. They were living in Salinas, California when they first came under the sound of Mr. North’s ministry. Sooner than we expected after our marriage, Kathy became pregnant, and so, with some fear and trepidation about the responsibilities, we began to prepare our hearts and our home. After some complications and concerns during the latter months of the pregnancy, Kathy gave birth to a stillborn baby. We were shocked. Kathy tended to blame herself because she had never felt ready to have a child and felt that her unhappiness about it was one of the causes of the death of the child. That wasn’t true, of course. The child had the umbilical chord wound around her neck and body several times which had somehow caused a lack of blood to the brain. Kathy had to deliver the child even though the child was dead. She delivered the child without complaint. The child’s death was such a surprise to us and to all of those around us. Kathy and I decided to have the child buried without a service in the children’s section of a local cemetery in Arlington Heights. The question whether the baby would live for eternity or not was not an issue to us. What we believed wasn’t going to affect what God was going to do, so we named the baby Christina and committed her to the Lord. After a month or so we had a memorial service while our dear friend Dave Wetherly was visiting our church. Kathy was a real trooper about it all. We invited our parents and friends. We testified to the Lord’s goodness in it all, and told everyone that even though we didn’t understand, we trusted God, and loved God as much as ever. In 1981 and 1982 the economy in America, particularly in the building industry, was in recession. Marchese and Sons always had enough work to do, and survived in 1981 because of a large contract with the county resetting section survey monuments. It was interesting survey work for us. But one day in January 1982 I walked back into the office after a day on the job and was told by a sad family that they didn’t get their contract renewed with the county and that I was laid off. It was a very hard time for Kathy and I. Every morning I walked to the train station to get a newspaper to look for a job. I began receiving a small amount of unemployment compensation. I had hardly been making enough while I was working to support our family, so getting less money each week was even more difficult. I worked a little bit part time for a couple of survey companies, but it was sporadic. Randy Traub, a good brother in the church, worked for the city as a garbage man and helped me get a job there. After helping me get my truck driver’s license, I applied at his work and got the job. It was the hardest job I ever had! Unlike most trash collecting jobs today, we had to run to the back of the house to collect the trash, sometimes mounds of it, and run back to the truck with it. What service! I also landed a job with Heybach Construction Company working for a guy named Mr. Heybach. It was a great job. He made quite a lot of money, and was much freer with it than any boss I had ever had. He liked my work attitude and all. He did remodeling of commercial and industrial buildings around Chicago. I was hired as a construction estimator and used my math and drafting background I had learned at Marchese to do the drawings and estimate the cost. It wasn’t long before I was making calls on the phone to businesses, driving all over Chicago land, drawing up the work to be done and making the estimates. Heybach was very happy with my work. The one problem was that he did some illegal work, dodging city ordinances and so on, and it wasn’t long before I found out and told him I couldn’t go along with it and would have to quit if he didn’t stop it. He couldn’t figure me out, and was sad about it, but said he had to work that way to make a profit. It was sad to leave the company, but in my heart I knew it was far better to stand for righteousness than to do what went against my conscience before the Lord. Kathy found it very difficult, but understood and went along with it. God was with me and honored what I did, and we continued on. Kathy was pregnant when I got laid off the job at Marchese and Sons, but God was faithful the whole time. The brethren in our church were kind enough to give us $1000 towards the cost of the birth of Christy, which was half of the cost in those days. 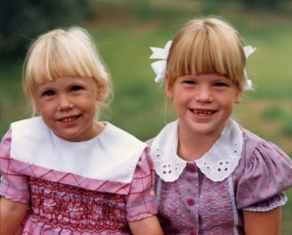 I looked hard for work everyday, and on the very morning that Christy was born, July 13th, 1982, I got a call from a company called Exhibit House that I had been hired to work there. Wonderful!! And what a joy to have Christy with us in the world. God added to our church through the years. Each one had their story and each one moved closer to God. We often went out door to door or to a park or other place to speak about Jesus to people. I wrote earlier on that during my childhood I was moved by what I saw in the inner city of Chicago, and wanted one day to help out there as well as other places like Appalachia. One brother in the church, Bob Tangorra, lived on the near south side of Chicago for a while, on south Racine Avenue. 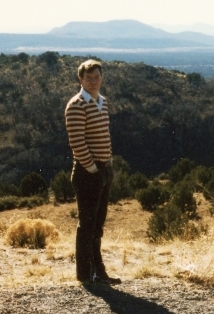 We decided in 1982 to begin a Bible study in his home. It was an interesting time, and attracted some people, especially kids, from the black community. My brother Jim and I did some open air preaching at Cabrini Green, one of the high rise areas on the near south side known for its crime and poverty. It is interesting how God plans things out for us, because during those days Kathy and I talked about actually moving down there to minister to that area of Chicago. God knew my heart and that I was prepared to go. But after much prayer and talk, Kathy and I decided it wasn’t God’s will. Amazingly, just after we made that decision, a beautiful house on over an acre of land on Quentin Road in Palatine came available for rent. Some of us had been feeling that we needed a house setting for the church, on a small scale like we had seen in England and Canada. I won’t forget when Ginny Colberg (who later married my brother and became Ginny Porowski), Kathy and I drove over to the house and practically screamed with delight as we got out of the car. Ginny, Kaye Peterson, Kathy and I decided to move in together. 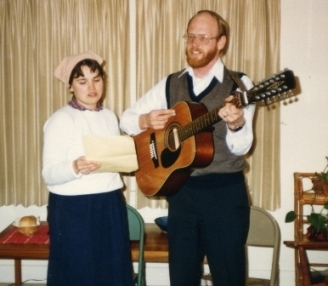 Living together not only helped with the cost of rent, but was a great way to live out the words of Christ, “By this all will know that you are My disciples, if you have love for one another.” Later on Julie Cunningham lived there in Ginny’s place when she married Jim. The thing is, I have never wanted to live in a rich place. I have always wanted to work with the poor, whether here in America or in some other country. I don’t think I could have moved into the house on Quentin Road if God hadn’t seen my willingness and desire to move into the inner city. But now it was all systems go in our new home! We loved it there, and the church did as well. 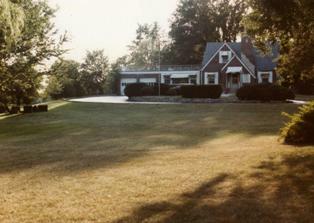 We began having meetings there, and in a very real sense it became a fellowship house. 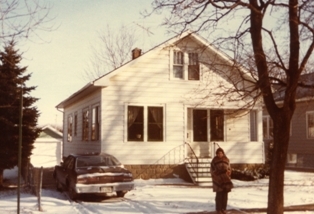 Another Bible study that began was with Jim and Denise Ostrander in Waukegan, north of Chicago, in the days before they moved down to be with our church. We had precious times there looking at scriptures, talking together and praying together. We also met Andy and Patti, Gary and Debbie, and others there. The first time I ever went to Mexico was with Gary. Fred Koehler invited me to go down there. It was a good time. Fred was a very gentle, gracious guy who had a winsome personality with the poor, and his heart was always there. I got sicker than a dog during the weekend, no doubt because my stomach wasn’t used to the food and bacteria down there. I had hoped to preach while there, but that didn’t work out. But it was a good introduction to our neighbors to the south who I would visit many times beginning in 1986. What a joy it was for Kathy and I to have Christy around! The truth is, it was a nightmare at times because she had colic for the first six months or so and would cry and cry and cry most of the day. Kathy and I were fit to be tied sometimes! How peaceful it was when Christy slept! We remember times when we put her in the buggy and took walks in the railroad station parking lot. It was a gravel parking lot, so the buggy would bounce and bump and precious Christy would quit crying. What music (or lack of music) to our ears! But she was dear to us. She showed at an early age her people skills. She conversed on the phone when she was three years old, and became the greeter at our home when she was three as well! The job at Exhibit House was a good one in many ways. The company made trade show exhibit booths as well as signage for model homes. I enjoyed traveling to the various job sites and setting up the signage and applying silk screen images to the windows and doors and so on. But worked slowed down for the company and I was laid off in July of 1983. I looked and looked for another job, but found none. Marchese and Sons was hiring again but I didn’t want to go back. But not finding a job anywhere else, and for love of family, I reluctantly went back. Mr. Marchese was very happy about it, but warned me not to talk of Jesus while on the job. I told him I could not promise that, but he hired me anyway. So I began there again in August, 1983. 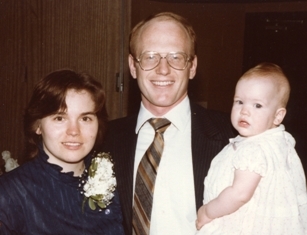 By that time Kathy was growing great with child, and on April 19th, 1985, gave birth to our dear daughter Kim. Kathy had feared that she wouldn’t have enough love for another baby, but without any problem at all she loved dear Kim as soon as she was born. I was not surprised! We were so thankful to the Lord for another child, and as time went on decided that two was the number we should stay with, not because we didn’t love children, but because we knew we would always be so busy with people and church life and wanted to give our two all the attention and love they needed. In 1985 it was becoming clear to Kathy and I that we should move on. Our church was doing very well. James had become the leading elder. It was also clear that James and I didn’t see eye to eye on some things. Kathy and I felt it was time to spread our wings a bit. Where? That was the question. The Marquardts, one of the families in our church, had moved on to St. Louis, so Kathy and I considered moving there and went for a weekend in early 1985 to check it out. Though we loved the Marquardts, it was clear to us after being in St. Louis that it wasn’t the place God had for us. Bernard Hull, one who has given of himself wonderfully to us and the churches we have been in, came for a visit in the spring. We asked him during his visit if he was aware of a place that needed a pastor or a situation that might suit us. We weren’t grasping at straws, but we felt it would be wise to ask him. He surprisingly answered yes, but didn’t feel at liberty to say where. He said he would let us know. So we continued our wait and looked to the Lord. Bernard got in touch with us not too long after and described to us a possibility in California. The pastor of a church had told Bernard, during a trip they took up into northern California, that he believed it was time to leave, and had asked Bernard if he knew of anyone who could come. Bernard had said nothing to Jim Kerwin, the pastor, of our situation. So he was surprised by the way the Lord had possibly opened the way for us. Kathy and I wrote the church in California, telling them that we would be happy to consider it and we could visit them if they would like. They wrote back and said of course. So Kathy and I and our kids took a week in August and went for a visit. It was a very good time, and seemed right in the Lord. We returned to Palatine saying we would consider things, and wondering what the Lord would do. It wasn’t long before God spoke to our hearts saying we should go if and when Jim and his family decided to move on. A month later we heard from Jim saying he and his family planned to leave at the end of the year. So I went out for a week in December to look for a job and a place to live, and found both. God was good to us. All our friends in the church in Palatine were so good to us. We loved them all, had a wonderful going away party, and said goodbye with a lot of sadness. Everything in our lives is meaningful in God. And everything is also a preparation for things to come. I thank God for all that ever happened in my days in Illinois: my childhood, my time at college, the way in which I found new life in the Lord Jesus, and our days with the church. There was so much heartache mixed with wonderful joy. But God was over all! 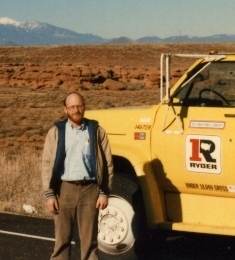 On January 2nd, 1986, I set out with the help of Randy Traub (in the photo to the left) in our rental truck for California!! There was excitement in my heart to say the least! It took us about four days, and we arrived at our new home in Costa Mesa and unpacked all our stuff. The friends in our new church gave us a welcome hand. Kathy flew out with the girls on January 6th. We set our hearts and hands to work in the new place God had set us in. We have spent twenty years now in California. Sometimes it is hard to view the recent past with a clear eye. As time goes by, the unnecessary details fade away and one can get a better overview of what has taken place and of how God has had His living hand in everything. So I will wait for a while to write more!